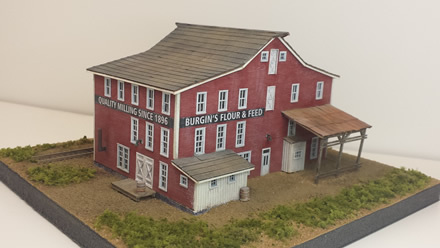 Your source for model railroad craftsman kits, laser-cut detail components, custom scale structures, and laser-cutting services. Rail-Scale-Models is going on VACATION !! It's time to get away for a little while... we will be away from Friday, 26-April, through Sunday, 5-May. We'll still be accepting orders during that time, but they won't be filled until we return in early May. Thanks for your patience with this short delay. 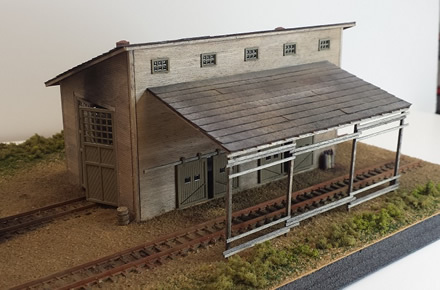 Big news here at Rail-Scale-Models... as of March 2019, Rail-Scale-Models has acquired the designs and production rights to the laser-cut craftsman kit business from Rusty Stumps Scale Models. 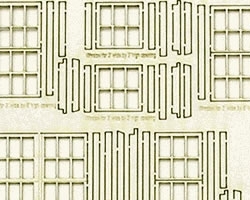 This acquisition compliments the transfer of the laser-cut details business that took place in May 2018. 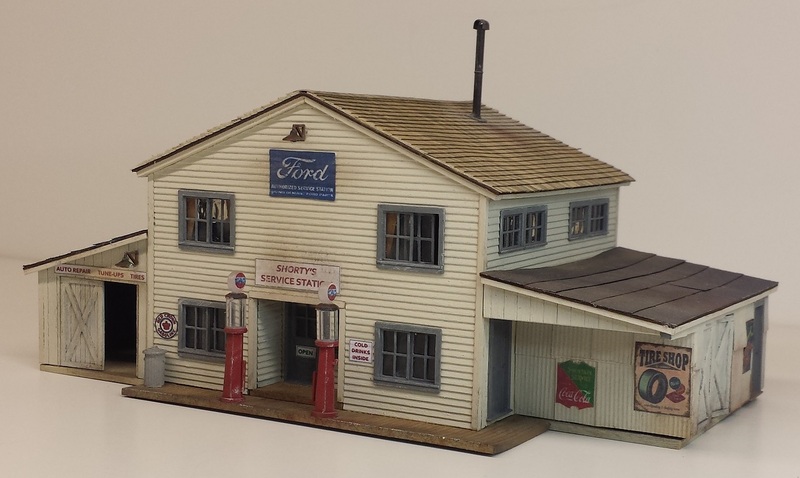 This line-up of craftsman kits includes designs in HO, S, and O scales, and represents many years of kit development and production from Walt at Rusty Stumps. 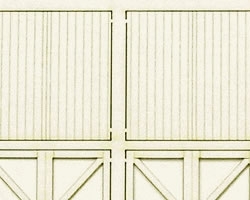 We'll spend some time in upcoming weeks/months to sort through the information and materials that come with this product line, and will work to get the Rail-Scale-Models website updated as each item becomes integrated into the Rail-Scale-Models line-up. Stay tuned for additional details. 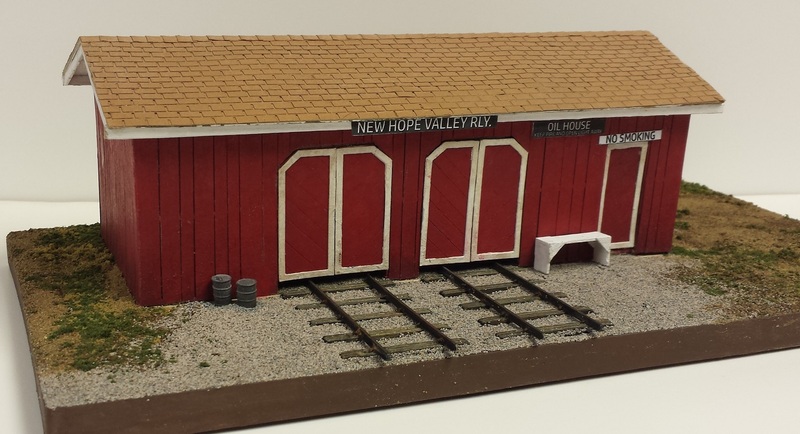 We look forward to continue to provide the high quality products and customer service that customers have grown to expect from Rusty Stumps.... and from Rail-Scale-Models. For the paper Roofing Shingles, we now have 13 different colors to choose from. We've added a nice graphic that shows accurate color chips for each color (seen below). 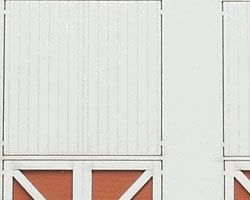 If you've ordered a specific color of roofing before, that "color name" has not changed, so you may order it again and expect to receive the same color. If you have requests for new items, don't hesitate to send suggestions our way. Contact us through the "Contact Us" page. To take advantage of our Loyalty Points program, be sure to create and login to your account.